Colombia’s national football team will begin a new era under Portuguese coach Carlos Queiroz on Friday in a friendly match against Japan in Yokohama before facing South Korea four days later in Seoul. “Los Cafeteros” arrived for training in Japan on Monday ahead of the friendly that will give fans the first opportunity to see what the 66-year-old former Iran coach has in mind for the national side as the post-Jose Pekerman rebuilding mission continues. Queiroz has already lost two key players from the squad with goalkeeper David Ospina and playmaker Juan Fernando Quintero ruled out through injury. Ospina collapsed while playing for Italian side Napoli against Udinese on Sunday after suffering a blow to the head while Quintero ruptured an anterior cruciate knee ligament playing for Argentina’s River Plate. Queiroz subsequently called up Deportes Tolima‘s Alvaro Montero and Atletico Mineiro playmaker Yimmi Chara as replacements. The striker has registered 28 goals in all competitions with the Scottish club this season and Queiroz will hope that he will offer more than he did in his one previous appearance against Venezuela last September. Morelos, as well as the in-form Duvan Zapata, who has clocked up 22 goals in 27 appearances this season for Italy’s Atlanta will provide cover for the veteran Radamel Falcao in attack. While established stars like Falcao, James Rodriguez, Yerry Mina and Davinson Sanchez make up the backbone of the squad, fans will be eagerly awaiting to see the contributions of exciting young additions like Luis Diaz of Junior de Barranquilla and Boca Juniors’ Sebastian Villa. 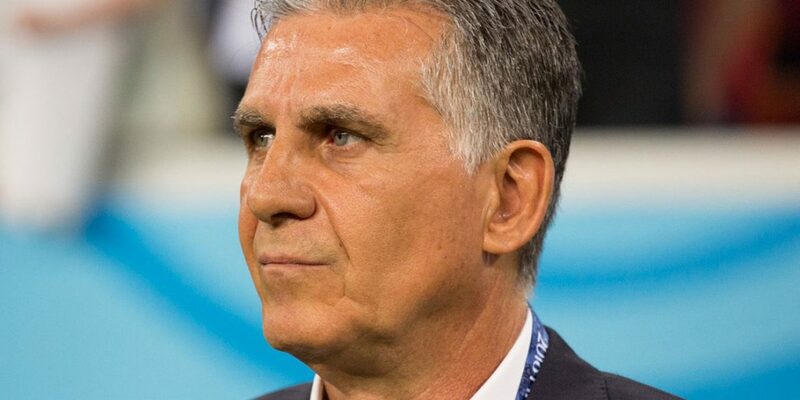 While Queiroz faces the immediate challenge of filling the shoes of arguably Colombia’s most successful manager, the games against Japan and South Korea will give him the chance to experiment ahead of this summer’s Copa America competition in Brazil. Colombia will face Argentina, Paraguay and guest nation Qatar in the group stages of the showpiece. The game against Japan will kick off this Friday at 5:20 a.m. (Colombia time) while the second friendly is scheduled for next Tuesday against South Korea 6 a.m. (Colombia time).